DEFINITIONS: The following definitions apply to the terms and conditions set out below that govern this contract of carriage between you and us. 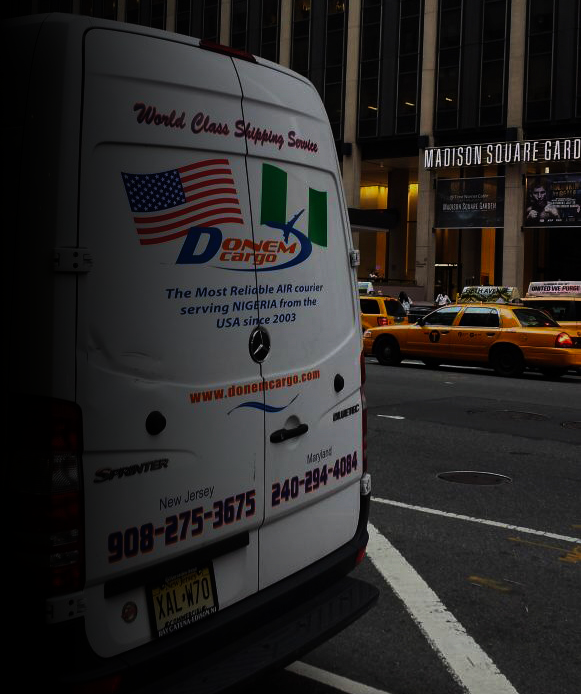 “Our”, “We”, “Us” means Donem International LLC and/or Donem Cargo Ltd and their respective Employees, Agents, and Independent contractors. “You” and “Your” means the Sender, Consignee, Receiver, Owner, Representative, Agents and other Party having a legal interest in those shipments. “Shipment”, “Goods” means package, parcels, and boxes, pieces of freight given to us and accepted by us for transportation. 1. ACCEPTANCE: By giving us your shipment you accept our terms and conditions of carriage on behalf of yourself and/or anyone else who has any interest in the shipment irrespective of whether you have signed it or not. If you give us your shipment with oral or written instructions that conflict with our terms and conditions, we shall not be bound by such instructions. 2. CARRIAGE: If the carriage of your shipment involves an ultimate destination or a stop in a country other than the country of departure, Warsaw convention that is compulsorily applicable will apply and govern our limit of liability for loss, damage, and delay of your shipment. (b) Our limit of liability is $.40cents per pound (lb) and up to a maximum of $400 USD per shipment if the original invoice is provided at the time shipment is tendered. (c) We shall make every possible effort to deliver shipments according to our regular delivery schedule, but we will not be liable for any loss, damage, delay of your shipment even if we had knowledge that such damage or loss might arise. 3. CUSTOM’S CLEARANCE: By giving us your shipment, you hereby appoint us as your Agent unless otherwise noted to clear and enter the shipment through Customs; you also certify that we are the Consignee for the purpose of designating a Custom Broker to perform Customs clearances and entries if we subcontract this work. Any additional documentation by the Customs or other governmental bodies that is required will be provided by you at your expense. You acknowledge that in the event you make untrue statement about your shipment or any of its contents, or fail to obtain proper import permit, you risk civil and/or criminal prosecution which may involve forfeiture and sale of your shipment as a penalty. Any voluntary assistance by us in completing the required Customs and other formalities for any Government Agencies will be rendered at your sole risk, and you agree to indemnify us and hold us harmless from any claims that may be brought against us arising from the information you give to us. Any cost we will incur as a result of the actions of Customs and/ or other Governmental Authorities or your failure to provide proper documentation and/or to obtain required license or permit will be charged to you or the receiver of the shipment. 4. LIABILITY: We are not liable if your shipment or any part of it is lost, damaged or delayed because we do not fulfill any obligations towards you at all as a result of (i) circumstances beyond our control such as(but not limited to) acts of god including storms, flooding and fire. (ii) force majeure including (but not limited to) war, accidents, acts of public enemies, strikes, embargoes, perils of the air, local disputes and civil commotions. (iii) national or local disruption in air or ground transportation networks and mechanical problems to modes of transport or machinery, criminal acts of third parties such as theft and arson. (iv) an act or omi ion of any Customs, Airline, airport or Government fficial. (v) the contents of the shipment consisting of any article that s a prohibited item even though we may have accepted the shipment by mistake. 5. INSURANCE: We advise customers to check whether insurance coverage can be obtained for the type of goods that they want to send. Insurance coverage must be requested and premium paid before commencement of your shipment from our USA warehouse, otherwise it will not be valid. 6. PAYMENT: By giving us your shipment, you will be fully responsible for all the charges that may arise during the course of your shipment including any fines from Government Authorities, our attorney fees, storage charges, and legal costs related to your shipment. 7. SERVICE BY THIRD PARTIES: We shall under no circumstances be liable for any loss, damage or delay to your shipments entrusted by us to another forwarder or carrier to render other services with respect to that shipment. Any complaints and settlement will solely be between you and the third party company/agent involved. 8. GENERAL LIEN ON ANY PROPERTY: The Company shall have a general lien on any and all property(and documents relating thereto) of the Customer, in its possession, custody or control or en route, for all claims for charges, expenses or advances incurred by the Company in connection with any shipments of the Customer and if such claims remain unsatisfied for thirty(30)days after demand for its payment is made, the Company may sell at public auction or private sale, upon ten(10)days written notice, registered mail(R.R.R),to the Customer, the goods wares and/or merchandise, or so much thereof as may be necessary to satisfy such lien, and apply the net proceeds of such sale to the payment of the amount due to Company. Any surplus from such sale shall be transmitted to the Customer, and the Customer shall be liable for any deficiency in the sale. Storage charges will start to accrue after seven (7) days of being notified about the availability of your shipment for pick up and/or delivery, goods not picked up after one hundred and twenty (120) days may be auctioned out or sold to recover unpaid charges. 9. CLAIMS PROCEDURE: If you wish to file a claim for a lost or damaged shipment, you must comply with any applicable convention, and notify us in writing within seven (7) days about the loss or damage after delivery of the shipment or within thirty five (35) days of the date the shipment should have been delivered. We are not obliged to act on any claim until our carriage charges have been paid nor are you entitled to deduct the amount of your claim from our carriage charge. 10. LAWS AND JURISDICTION: Any claims and/or disputes arising under the terms and conditions of carriage shall be brought before and determined by the Courts of City of Linden and in accordance with the laws of New Jersey, unless otherwise agreed to, by the Company. We however reserve the right to take legal action against the Customer and/or the Holder as well at any other Competent Court.